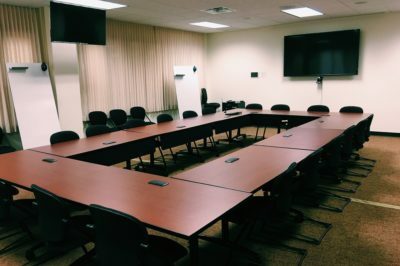 The Center for Excellence in Teaching and Learning utilizes several spaces on the second floor of the Dulaney Browne Library for center programming. Among these spaces are three rooms that are available to faculty and staff for workshops, training sessions, special classes, and meetings. They are reserved on a first-come, first-serve basis when not already reserved for CETL use. Click below to learn more about each space, and to reserve your room. Also, called the Priddy Classroom, DBL 214 was designed to be an example of an innovative and flexible classroom environment. Utilizing movable tables and whiteboards, as well as multiple screens, this classroom allows an instructor or presenter to design the learning environment as they see fit. CETL presentations are almost exclusively given in this room, but when not being used for CETL programming, the room has been used for meetings, training sessions, and classes. With one large monitor, and three smaller monitors, attendees can see the presentation no matter where they sit. Some training and setup are required to use the technology in this room. Please be sure to arrange training, if needed, with a member of the CETL team in advance of your reservation time. Click here to reserve this space. 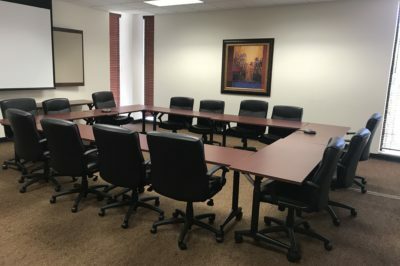 Also called the Conference Room, DBL 215 is most typically used for smaller meetings. This room features movable tables, a computer, projector and screen. Some training and setup are required to use the technology in this room. Please be sure to arrange training, if needed, with a member of the CETL team in advance of your reservation time. Also called the Faculty Reading Room, DBL 208 is used for smaller, more casual gatherings or meetings. This room was originally designed to give faculty a quiet place to come relax and read. 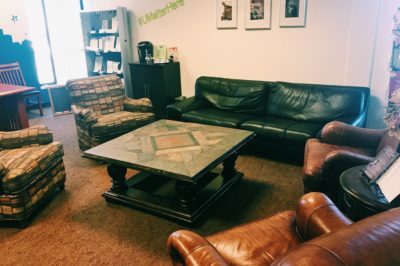 Smaller groups find this room a comfortable and relaxing place to meet. The room does have one rolling white board available. There is one Mac computer located in this room. Faculty may use this computer by logging in using their OCU credentials. There is no screen or projector in this room.